It doesn’t have to sell a million. The remastering and reissuing of Stillwater‘s s/t debut (1977) and follow up, I Reserve The Right (1978) (review Tuesday 4 Dec) in itself underlines the Rock Candy label’s willingness to pursue the arcane. 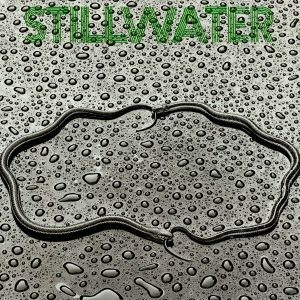 Not to be confused with the protagonists of Cameron Crowe’s 2000 “Almost Famous” movie, Stillwater were a Southern Rock band, from Macon, Georgia. And if nothing else, with 8 members, they were to be admired for not finding plenty of room for musical differences. The group dynamic must have been worthy of study by Social Scientists and maybe a psychologist or two. The debut, recorded by Buddy Buie, songwriter and producer for the Atlanta Rhythm Section, is as together a band album as you likely to have heard from Skynyrd, Hatchet or indeed, The Allmans (who were on the same label). There’s a looser, rawer feel to Stillwater’s sound. It’s anchored to mother earth. And judging by their mode of dress on the back cover, you could easily believe they recorded the album in the back of somebody’s garage. What it lacks in polish it gains in immediacy. There’s a “hit it’n’quit it” tone to ‘Rock’n’Roll Loser’, ‘Out On A Limb’ and minor hit single ‘Mind Bender’. All are powerfully provocative and southern fried soulful. The band were little known in the UK, unless you’d seen them on the OGWT in the mid seventies, performing what became the debut album’s ten minute centrepiece, ‘Sams Jam’. By the time we join it, it sounds like it’s being going all morning, and by the time we leave, it sounds like it’ll be going all night. You know you’re gonna love this band live, and they give us proof on the two bonus tracks: raucously, lovably live versions of ‘Out On A Limb’ and ‘Mind Bender’. Reviewed by Brian McGowan and released by Rock Candy Records, November 2018.